There’s no avoiding it, tennis requires a lot from your body. You’re not only using your entire body in every shot, you are also required to do short bursts of cardio and recover quickly. As all tennis players know, staying relaxed during a match is how to stay in control of your points. This is nearly impossible though when you’re trying to catch your breath from the previous point. Don’t worry though, there’s things you can do. Playing more and more tennis is one option, but you can also introduce HIIT workouts into your training to help more so. HIIT workouts or high-intensity interval training, is a training technique in which you give all-out, one hundred percent effort through quick, intense bursts of exercise, followed by short, sometimes active, recovery periods. 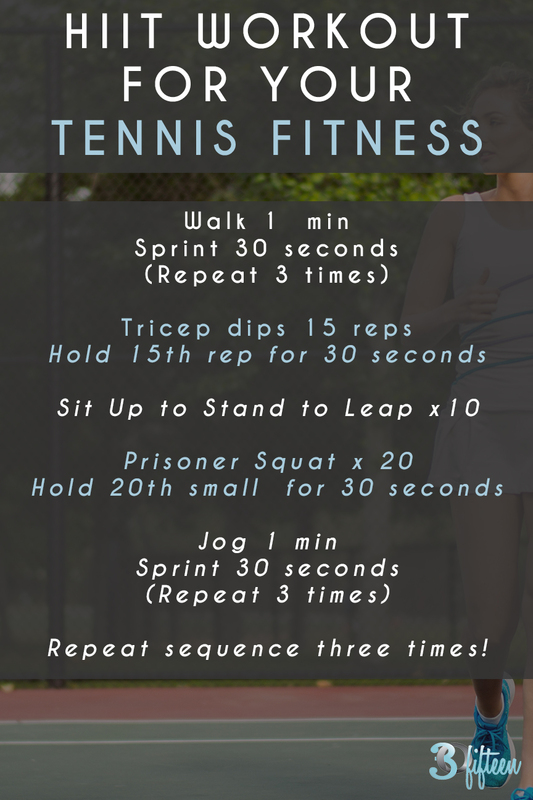 This type of training is similar to tennis, where you are required to do short bursts of activity with short recovery times. What additional training do you do to improve your game?